Question: Are Unity church members’ physical, emotional, mental, and spiritual well-being affected by long distance prayer as measured by the Arizona Integrative Out Comes Scale (AIOS), the Aspiries – Spiritual Transcendence Scale (STS Aspiries), and State-Trait Anxiety Inventory (STAI) for Adults? The Ministerial Long-Distance Prayer Intervention (ML-DPI) will explore whether long distance prayer has significance for religious and spiritual communities, energy medicine, and scientific models of healing through the ML-DPI experience. The Primary Investigator (PI), Michael Ulm, has seen miraculous events take place through his use of prayer in Charlotte, NC hospitals with members of his home church, Unity of Charlotte. He is following these experiences to explore and examine the nuances of prayer and the effects that prayerful application can manifest. The research focuses on feelings of well-being. The use of healing prayer and intention in the ML-DPI is expected to manifest changes in the felt sense of well-being in the participating Unity church members due to long distance prayer. It is the PI’s experience that Unity congregants, as a whole, are dedicated to a spiritual or religious practice as a personal life choice. An increased feeling of well-being in humans can be experienced and can manifest as a perceived improvement in life expression by participants involved in the ML-DPI. healing practitioner and client (practitioner work), has been the model for documented successful healing and experiences by Silent Unity and the Unity literature for over 100 years. This belief in absentee prayer is what the ML-DPI is based on and why Unity churches were chosen for this study. Whereas the Fillmores employed "several united in absent work," as a model, the ML-DPI will employ two prayer agents working independently of each other to focus prayer to each prayer recipient. The ML-DPI explores the possibilities of the two prayer agents working independently rather than a group working together as in the Fillmore literature. The Fillmores were staunch believers that healing by God was through the words spoken. "…‘the group (Silent Unity Healing Department ) does all its work through the Word spoken in the name of Jesus Christ.’ ….They (Fillmores) declared: ‘The Word having in it all the potentialities of Being has quickening, vitalizing, strength-giving, harmonizing, health-creating, prospering power, and all who have the faith that makes one receptive to the Word get the benefit of it in new thoughts, new states of mind,, new conditions in body and affairs,’…. "The spoken word was a key element in absent healing. The Silent Unity Healing Department employs it exclusively. "4 The Fillmores practiced the use of the spoken word through prayer. Their teachings regarding the use of prayer by Silent Unity practitioners have influenced the PI’s use of prayer and his belief in the power of prayer. It is the PI’s opinion that prayer is an effective intervention for change, which is the motivation for the PI’s ongoing study of prayer. This research project is the PI’s investigation into what will happen through the use of prayer in an experimental environment in the twenty-first century. study. These healing phenomena and felt sense changes could continue to manifest for months after the ML-DPI. The questions of sustainability and this latent possibility for healing phenomena and felt sense changes are reasons for third sampling of data from the Prayer Recipients (PRs) ninety days post the ML-DPI. This possible healing phenomenon is subordinate to the focus on the feelings of well-being for this study. 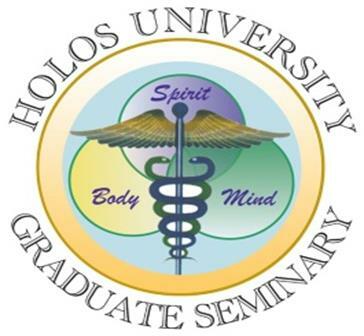 Neither the PI nor Holos University Graduate Seminary guarantees that the participants in this study will experience the possible healing phenomenon, new awarenesses, or an improved felt sense of well-being. 1.Agree to participate as a church in the Ministerial Long-Distance Prayer Intervention (ML-DPI), Holos University Graduate Seminary dissertation research project. 2.Provide adequate space for the informational meeting or private sessions as requiredto present the information to the potential volunteer Prayer Recipients. 3.Provide 10 or more potential volunteers for the study who will attend an informational meeting with the Assistant Investigator (AI) or Assistant Church Facilitator (ACF) or private session with the ACFor AI. a)An Unity congregate, who will communicateand work closely with AI, Rev. Ellen Laperriere and PI, Michael Ulm. b)Assist with the one hour informational meeting or private sessions with potential participants in the study at theirchurch. c)Administer and return the completed 3 sets of study samplinginstruments to the AI, Rev. Ellen Laperriere at data headquarters. A church contemplating participation in the Ministerial Long-Distance Prayer Intervention (ML-DPI), Holos University Graduate Seminary dissertation research project by Michael Ulm, will have a total time expenditure of less than six (6) hours. This time expenditure breaks down as: Two (2) hour of review of the research project information to ascertain whether or not the church is interested in being involved, ½ hour or less of administration by the church administrator disseminating the electronic or hard copy church packets to the church leadership, one (1) hour of review by the church leadership, ½ hour interaction and discussion of the research project by the church leadership before voting at the board meeting, ½ hour discussion at their board meeting of an Assistant Church Facilitator candidate. The responsible individual of that church community that will assist the AI with administration paperwork for the project, , ½ hour or less time by the administrative assistant to execute an email of the churches interest to participate in this research project with the name and contact information of the proposed ACF for their church location. The person contemplating serving as the Assistant Church Facilitator (ACF) for their participating church should have a total time expenditure of less than eight (8) hours: one hour of review of the ACF packet, 30 to 60 minutes discussion with the AI of dates for the full disclosure/informed consent, and informational meeting; one hour in attendance at the full disclosure, informed consent, and informational meeting and first sampling with the AI and church volunteers, two (2) more hour of facilitation of the second and third samplings, possibly two hours gathering any stragglers samplings from the second and third samplings and one (1) hour of mailing documents to the AI at data headquarters in the provided envelopes. Neither the participating churches nor their ACFs will incur any financial burden while participating in this study. The PI is responsible for any and all financial obligations. An arrangement to reimburse the ACFs or participating Unity churches for any mailing costs of the completed survey instruments and journaling to data headquarters. Michael Ulm, the Principal Investigator, holds a Bachelor of Music, Masters of Arts, and Bachelor of Holistic Health. The Bachelor of Holistic Health degree focused on homeopathy, herbals, and their preparations. Additional counseling training and instruction includes: Emotional Freedom Technique (EFT); Body Talk, Whole Body Concept (massage modality); Carolyn Myss’s Sacred Contracts and Science of Medical Intuition; Intuitive Wisdom of the Body; and twenty-four additional hours of advanced graduate intuitive medical and personal counseling training, all culminating in national board certification as a Certified Counseling Intuitive from Holos Institute of Health, and the Medical Intuition Certificate 1 Holos University Graduate Seminary. Over the last fifteen years, the PI has been a massage therapist and holistic health practitioner, having interacted with over 1,800 clients for massage, body work, physical, and spiritual counseling. The PI was a forum presenter at ISSSEEM’s 22nd Conference, at Unity Village, MO. The topic was As Above So Below – Hands on Healing and Prayer – A Reality or Illusion? In this ISSSEEM presentation, the PI and Rev. Bill Morse, discussed prayer and the impact that prayer has had on human beings’ emotional, mental, physical and spiritual bodies. They included how changes in these energy bodies manifested into life expression changes. The last third of the presentation was prayer technique demonstrations. Perceived physical, mental and emotional changes were seen in volunteers from the forum by all in attendance. As an ordained minister, the PI has led spiritual/religious services, trainings, retreats, and prayer vigils, at Holy Trinity Lutheran Church in Bowling Green, KY and First Lutheran Church of Chattanooga, TN. The PI served as a chaplain for the Boy Scouts of America for more than twelve years. For the past six years, the PI has served as the senior minister for two non-profit religious organizations, All Light Ministries US and All Light Ministries INTL. Awarenesses Two or more episodes of being conscious of specific phenomena. Question: Are Unity church members’ physical, emotional, mental, and spiritual well-being affected by long distance prayer as measured by the Arizona Integrative Outcomes Scale (AIOS), the Assessment of Spiritual and Religious Sentiments (ASPIRES) Scale, and State-Trait Anxiety Inventory (STAI) for Adults? Charles and Myrtle Fillmore believed in the power of prayer and the spoken word on behalf of self and other. This research project is a controlled study to explore prayer and the possible effects of focused long distant prayer, with the intention for an increased sense of well-being, spiritual growth and healing. The purpose of this research is to attempt to measure the sense of well-being experienced by participants through a Ministerial Long-Distance Prayer Intervention (ML-DPI). This study searches for a correlation between long distance prayer and a sense of well-being that can result from this focused application of healing prayer potential. The use of prayer in the ML-DPI is expected to manifest changes in the felt sense of well-being in the participating Unity church members. The project is about prayer, the effects of prayer, and is not a therapy. The Principal Investigator (PI), Michael Ulm, has seen miraculous events take place through his use of prayer in Charlotte, NC hospitals with members of his home church, Unity of Charlotte. He is following these experiences to explore and examine the nuances of prayer and the effects that prayerful application can manifest. The research focuses on feelings of well-being. Healing phenomena can manifest from any prayer, and could also occur in this study. These phenomena, if any, will be captured in the subjective journaling that is part of the second and third samplings. This possible healing phenomenon is subordinate to the focus on the feelings of well-being for this study. The study uses a pre-test and multiple post-tests, which repeatedly measure the dependent variable (feeling of well-being or reduction of anxiety for this project). The participants will consist of adult volunteers, 21-75 years of age, who attend the normal Unity church activities, without regard to: race, creed, social status, economic status, age, gender, or education level. Participants will chose, of their own accord, to be part of the study and the number of participants from any church shall not exceed twenty five to preclude skewing of the data by any one church. This ML-DPI study is a self-selecting experience. All volunteers from the participating churches will, at the informed consent/ informational meeting or a private meeting with the Assistant Investigator (AI), Ellen Laperriere, and/or Assistant Church Facilitator (ACF), receive full disclosure about the study. Each volunteer that chooses to participate will be assigned a control number that designates and differentiates them during the study. Assignment of participants to the control and experimental groups will be done by the statistics consultant and the AI. These volunteers will choose of their own volition to become prayer recipients (PRs) in the study. During this study only the statistics consultant, AI , and ACF for the participant’s church will have knowledge of who is participating in the study and their demographic information. compromise the control and experimental group’s makeup until the analysis of data is complete. This limited access to participant information constitutes a blind but not double blind study. The PRs will not know until the publication of the study whether they were prayed for as part of the experimental group during the study or whether they received prayer as participants of the control group after the study data collection was finished. 1. First sampling, at the point of inclusion for the church in the study at the informed consent/ informational meeting or private meeting with the Assistant Investigator (AI) or Assistant Church Facilitator (ACF). 2. Second sampling is four weeks after the church’s point of inclusion into the study and following the end of the prayer week administered by the ACF. All prayers will occur the same week by all prayer agents. 3. Third and last sampling is three months (90 days) post the second sampling of the study and administered by the ACF. month re-assessment period for the third sampling should capture whether continued an increased sense of well-being, spiritual growth, and healing was maintained. The PI will conduct a multiple site, cross-sectional survey in North America with adult participants, 21-75 years of age, using three survey instruments: the Arizona Integrative Outcomes Scale (AIOS) to measure the feelings of well-being, the Assessment of Spiritual and Religious Sentiments Scale (Aspires) to measure spirituality/religiosity, and the State-Trait Anxiety Inventory (STAI) for Adults to measure levels of anxiety. All PRs will be volunteers from Unity churches who formally consent to participate in the study. There will be a minimum of 100 participants in the study. The volunteers will be assigned to the experimental or control group by random assignment procedure insuring that there are 50 or more participants in each group. The AIOS, Aspires, and STAI samplings will be administered to all participants three times: pre- ML-DPI, post -ML-DPI intervention (the prayer week), and then three months post the conclusion of the intervention, prayer week. The three samplings of the survey instruments will be administered by an ACF. The control group will not be prayed for during the study. They will attend normal Unity church activities of spiritual growth furthering and fostering spiritual awarenesses which are designated to expand the emotional feelings of well-being in our ever changing world. These control group samplings, as recorded in the three survey instruments and two opportunities for journaling (samplings two and three), will set a baseline for normal growth and change by congregants of Unity churches’ activities over the four month period of the study. The experimental group will be administered prayer by prayer agents during the study prayer week initiated during the data gathering portion of the study. This application of prayer by the prayer agents is the intervention. The experimental group prayer recipient’s experiences and awarenesses as recorded in the three survey instruments and two opportunities for journaling (samplings two and three) are the variable in the study. Comparisons will be applied to the data from the experimental and control groups. Quantitative measurements will be applied to the survey instruments’ data of their experiences. Minimum measurements will be made for central tendency, the difference between the pretests/ posttests of the means and standard deviations, correlating the control and experimental groups using the AIOS and STAI. Additionally, testing of the question with mixed analysis of variance will be used to evaluate deferential outcomes of the two groups over time. These will be examined for indications of sustainability in the felt sense of well-being and reduction in anxiety through the samplings. The PI and AI will recruit Prayer Agents from Unity churches and other Unity sources (Silent Unity, Unity Institute, Unity Urban Ministerial School, School, and Unity International). The agents will not be affiliated with any of the participating study churches with PRs. The PI will train each agent to send focused long distance prayer, with the intention for spiritual growth and healing, to the recipients. These agents will deliver to their PRs, prayer for their highest and best good with a perfect and right outcome, while respecting the recipient and their life path. frequency of prayer shall be once a day for six days, for at least three minutes per session. This will generate a total of six prayer contacts for each PR per agent, for a total of twelve prayer contacts for each PR. After the close of the data gathering portion of the study, the same prayer agents will administer prayer to the control group participants as they did for the experimental group. The control group PRs will not be sampled after their administrated prayer as was the experimental group PRs. The target group for the research will be persons who attend Unity Churches. Churches will be recruited from the Unity International website with the intention of drawing a representative population of Unity congregates. The Unity church populations for the most part have had some exposure to prayer and healing through the teachings the founders of Unity and the Unity movement, Charles and Myrtle Fillmore. Participants from these churches are steeped in many New Thought concepts. It is the PI’s experience that the Unity congregants as a whole are dedicated to a religious or spiritual practice as a personal life choice. They tend to be a diverse population in terms of age, gender, and ethnicity with a higher proportion of women. The average age of this population tends to be 45+ years old. This population is older than a "normal" age sampling distribution by about 7 to 10 years. 1. Adults 21-75 years of age. 2. Literacy in the English language, both verbally and written. a. Completing an information form. b. Signing informed consent form. c. Attending all research study meetings for data collection. d. Completing all required survey instruments. 1. Illiteracy with the English language, either verbally and written. 2. Personal friendship or family member of the PI. 3. Client/therapist relationship with the PI. 4. Former participant in any All Light Ministry International or All Light Ministry US event(s) (Workshop, Seminar, Healing Service or Phone Healing Service). 5. Participants that personally feel that they have a condition that would limit their being emotionally stable, mentally awake, intellectually coherent, and able to express their feelings, state of consciousness, and emotional well-being during the 120 days of the study. The Assistant Investigator (AI) will prepare a master list of all study PRs numerically ordered by control number. The list will include each PR’s name, control number, date of birth, and gender. This information will be gathered from page one of the PRs’ information form. This master list will consist of over one hundred PRs’ information. A random assignment procedure will be applied to the master list to obtain the members of the control group and the experimental group from the master list of PRs, with at least fifty in each of the control and experimental groups. Prayer Recipients complete list of research participation requirements follows.  Attend a one hour informed consent/ informational meeting or a private meeting with the Assistant Investigator (AI) or Assistant Church Facilitator (ACF) to receive full disclosure about the study.  Fill out an information form and receive a personal research control number to identify your information for this study.  Meet the inclusion criteria and sign a copy of this informed consent form stating your qualifications and consent to participate in this study. With this knowledge of the nature of the prayer procedure used in the ML-DPI, the time requirements of participation in the study, and any possible benefits, each individual prayer recipient will choose whether to participate in the study. Although prayer recipients should benefit from the application of prayer and could manifest healing of existing conditions, Holos University Graduate Seminary and the PI do not guarantee any change. PRs’ well-being will be measured by three survey instruments: the Arizona Integrative Outcomes Scale (AIOS), the Assessment of Spiritual and Religious Sentiments (ASPIRES) Scale, and the State-Trait Anxiety Inventory (STAI) for Adults. Anticipated testing time for samplings with the above survey instruments is fifteen to twenty five (15 to 25) minutes plus journaling for samplings two and three approximately five to fifteen (5 to 15) extra minutes if the PR chooses to journal. In samplings taken by the PI in All Light Ministry US healing services in Charlotte North Carolina, he found the AIOS to be very sensitive to life experiences of the sampled participants. This instrument is also expected to be sensitive to the ML-DPI experience. The sustainability of the ML-DPI experience as measured by the AOIS could be the major test of this instrument. Allotted testing time during sampling is one (1) minute for the AIOS. The Assessment of Spirituality and Religious Sentiments (ASPIRES) Scale (Piedmont, 2004a) was normed and tested in multiple sites throughout the world and included Canadian aboriginals, Christian, Hindu, Muslim, and Jewish faiths traditions. "All of these studies demonstrated that the constructs underlying the ASPIRES are of value for understanding the religious and spiritual strivings of people from different religious faiths and cultures. "19 The Unity ideals accept all paths to God and the ASPIRES will allow a non-bias non-invasive spiritual attitude sampling. The ASPIRES ability to sample religiosity and spirituality cross-culture and cross-religious beliefs is well suited for sampling of Unity churches. The ASPIRES was developed explicitly to identify those fundamental, motivational aspects of spirituality that underlie all religious traditions. The ASPIRES provides very specific operationalizations (sic) for the constructs of religiosity and spirituality.20 Allotted testing time during sampling is six to ten (6 to 10) minutes for the ASPIRES. The ASPIRES could record a change in religious preferences and habits. With a shift in well-being there could be a shift in attitude toward God and religious practices. If there is no change in the ASPIRES, then PI will notate this in the suggestions for further study. In samplings taken in All Light Ministry US healing services by the PI, he found the STAI not to be very sensitive to life experiences of the sampled participants. The State portion of the survey data virtually was unchanged. The sustainability of the ML-DPI experience as measured by the STAI will also be interesting. The comparison of the three instruments data is the reason for this dissertation. Allotted testing time during sampling is eight to fourteen (8 to 14) minutes for the STAI. 1. First sampling, at the point of inclusion of the church in the study at the informed consent/ informational meeting or private meeting with the Assistant Investigator (AI) or Assistant Church Facilitator (ACF). 2. Second sampling, four weeks after the church’s point of inclusion into the study and following the end of the prayer week. All prayers will occur the same week by all prayer agents. 3. Third and last sampling, three months (90 days) post the second sampling of the study. PRs will have the opportunity to record any subjective information of their ML-DPI experiences through journaling, during the post ML-DPI samplings (samplings two and three), which can allow capture of any subjective inputs not available through the objective survey instruments. Anticipated testing time during samplings two and three for journaling is five to fifteen (5 to 15) minutes. The three month re-assessment period for the third sampling should capture whether any well-being shifts, spiritual growth or healing were maintained by the PRs. The prayer agents for the research project will pray for two different prayer weeks. h. Receiving verification from all prayer agents that they have their assigned PRs’ information in a readable form and know the start date of the first prayer week. 2. Week two - prayer week for the control group after the close of the study approximately ninety to one hundred days after the start of the prayer week for the experimental group. c. Return a response that they have received their assigned control group prayer recipient’s information in a readable form and the start date of the second prayer week. These two prayer weeks will represent three or more hours for each week separated by at least 90 days. This totals to a time expenditure of six plus (6+) hours of dedicated prayer time by each prayer agent for the experimental and control groups during the study. The PI will recruit 30 to 35 Prayer Agents (this number of prayer agents will service 150 to 175 Prayer Recipients) from Unity churches and other Unity sources (Silent Unity, Unity Institute, Unity Urban Ministerial School, and Unity International). The Prayer Agents will not be affiliated with any churches with prayer recipients participating in the study. The PI will train each prayer agent to send focused long distance prayer, with the intention for spiritual growth and healing, to those in the study. Two agents will work independently of each other praying for the maximum of ten prayer recipients assigned them by the AI. The agents will apply prayer to each recipient for at least three minutes. Each prayer recipient will receive their intercessory prayer applications for a six day period during one of the two prayer weeks, generating a total of twelve prayer contacts from both agents. These agents will deliver prayer for highest and best good, with a perfect and right outcome, with respect for the prayer recipient, their life path, and the lives of all concerned. Ministerial School, or All Light Ministries. Each agent will have over a year of active prayer application for others either through All Light Ministries, Unity Church Prayer Chaplaincy, Silent Unity, Unity Institute, or Unity Urban Ministerial School training.  that you pray for your PRs to grow and mature within themselves physically, emotionally, mentally and spiritually.  that you pray that your PRs have opportunities and higher vibrational options opened to them.  that each PR has the power to shift their life expression.  that each PR has the opportunity to experience emotional felt sense of overall well-being. that all of the above requests on behalf of your PR be manifested on the physical plane NOW. All of these for the prayer recipients’ highest and best good with the right and perfect outcome in the participant’s life and the lives of all concerned. Although prayer recipients should benefit from the application of prayer and could manifest healing of existing conditions, Holos University Graduate Seminary and the PI do not guarantee any change. "We have answered ‘Does healing work?’ firmly in the affirmative. The research evidence adequately demonstrates that healing is an effective treatment and offers a potent complement to conventional therapies. We must get on with making it available to those in need. Prayer is an open ended expression of healing. It is the PI’s opinion that it must be experienced to be appreciated. The PI is indebted to his dissertation committee for their over sight of this research project’s scientific procedures to demonstrate the effects of prayer on prayer recipients’ feelings of well-being. A. Decide to participate in the dissertation and grant the AI permission to come onto church grounds to present the one hour informational/informed consent meeting at the church. B. Select an Assistant Church Facilitator (ACF) and send their name and contact information to the AI. C. Providea space large enough to adequately accommodate 25 or more potential participants for the informational/informed consent meeting. D. Inform the church congregates of the opportunity to participate and when and where the informational/informed consent meeting will take place. E. Providean estimated10 or more potential participants for the study, who will attend a one hour informational/informed consent meeting or private session with the ACF or AI. F. Providea space large enough to adequacy accommodate the participants as they complete their survey instruments and/or journaling during the study three testing periods. A. Communicate and work closely with AI, Rev. Ellen Laperriere. B. Coordinate and communicate the date and time of the one hour informational/informed consent meeting to the AI. C. Assist with the one hour informational/informed consent meeting. D. Ensure that all volunteers meet the inclusion criteria. E. Facilitate any private sessions necessary for potential participants in the study that could not attend the one hour informational/informed consent meeting. F. Administer and collect the completed first survey, information and informed consent forms from the churches volunteers that volunteer to be participants in the study, ensure that the information is in a legible, and record the participants study control number on the control sheet provided. G. Maintain the expandable folder containing the participant’s individual manila folders for samplings two and three. 1) Initially the individual manila folder will contain three sets of survey instruments and each set will be colored coded for ease of distribution. 2) Each individual manila folder will have a control number and the participants name will be added to the outside of this folder at the informational/informed consent meeting for ease of administering the second and third sets of survey instruments by the ACF. H. Administer and return the completed 2nd and 3rd sets of study instruments to the AI, Rev. Ellen Laperriere, at data headquarters. 2.Second and third survey instruments and journaling page(s) will be mailed to the AI at data headquarters within five days of the competition of 80+% of the churches participants. a. Second survey instrument and journaling will take place after prayer week approximately 30 days after the informational/informed consent meeting. b. Any participant stragglers will be sampled privately if possible by the ACF and their survey instruments will be mailed to the AI at data headquarters within two additional weeks of the first mailing. c. Any participant’s names, that fail to complete either or both of the second and third survey instruments and journaling opportunities, will be sent to the AI at data headquarters with reason for the uncompleted forms for the AI follow up. This information must be communicated to the oversight committee of Holos University Graduate Seminary by the AI or PI. I. The AI will take a photo of each participant’s manila envelope at the informational/informed consent meeting with the control number and the participants name visible to held at data headquarters as back-up to the document register. Dissertation results will be available online at www.AllLightMinistries.com for a period of six months upon completion for the study. Participants may also go to the school website, http://www.holosuniversity.net, where the dissertation results will be posted indefinitely. All prayer participants will be informed at the initial meeting at the churches’ inclusion of the study, of contact information for the PI, AI, Dissertation Chair, and the Dean of Holos University Graduate Seminary. This contact information is on the last page of the Informed Consent Form copy provided them at this meeting. Any prayer participant with questions, concerns or who experiences difficulties encountered from participation in the study before, during, or after the study concludes are encouraged to contact the cooperating personnel in this order: the PI, the AI, the Dissertation Chair, or Dean of Holos University Graduate Seminary. Committee Chair: Robert Nunley, Ph.D.
Holos University Graduate Seminary supports the practice of protection for human subjects participating in research. The following information is provided for you to decide whether you wish to participate in the present study. You should be aware that even if you agree to participate, you are free to withdraw at any time without affecting opportunities for participation in other projects offered by this graduate program. Your participation is strictly voluntary. Do not hesitate to ask any questions about the study before, during, or after the research study is complete.  Agree to participate in this study, in which you understand that you may or may not be included in the list for receiving Ministerial Long-Distance Prayer Intervention over the initial period of the study.  If included in the control group, you will receive Ministerial Long-Distance Prayer Intervention after the controlled research part of the study is completed. o The first survey instrument sampling is day one of the churches’ inclusion in the study at the informed consent/ informational meeting (requiring approximately 15 to 25 minutes). o The second survey instrument sampling is approximately four weeks after each church’s inclusion in the study and will have the opportunity to add subjective journaling of each one’s experience(s) so far (requiring approximately 20 to 35 minutes) will be given. o The third survey instrument sampling is at three months post (or 90 days after the second survey sampling) and will have the opportunity to add subjective journaling of each one’s experience(s) so far (requiring approximately 20 to 35 minutes) will be given. Following the close of the study at each church, those assigned to the control group will be notified and will be able to receive a ML-DPI if desired. INCLUSION Criteria/TESTING: Only those ages of 21 to 75 and literate in verbal and written English will be accepted as participants in the study. Participants will be assessed three times during the study: once at the participating churches’ inclusion in the study, about four weeks later, and again three months later (or 120 days after the churches’ inclusion in the study). The assessment will consist of completing three widely used survey instruments: 1) The Arizona Integrative Outcomes scale (AIOS), 2) the Assessment of Spiritual and Religious Sentiments (ASPIRES) Scale, and 3) the State-Trait Anxiety Inventory (STAI) for Adults. TIME COMMITMENT FOR PARTICIPATION – The total time required for a participant in the study shall be approximately 220 minutes divided into three meetings or private sessions. The preceding page enumerates each session’s time requirement. Participants will have the option to add five to fifteen minutes of subjective journaling with the second and third survey instrument samplings allowing opportunity to share experiences during the study not covered by the survey instruments. CONFIDENTIALITY: Participation in this study and any forms generated will be held in strict confidence. Personal information will be identified only by a personal research control number assigned at the informed consent/ informational meeting or a private meeting with the AI or ACF where you received full disclosure about the study. Results of the study may be reported in scientific presentations or publications. Neither the names of participants nor their personal information will be identified, published or associated in any way with the research findings. POTENTIAL BENEFITS: The expected benefits for participants and churches associated with this study include: information will be obtained concerning the participants’ pre and post feelings of well-being toward self and others compared with a cross section of Unity church congregants. There is also the possibility (but no promise) that there will be a noticeable improvement in these areas due to the effect(s) of the ML-DPIs application for your church’s participants. Initials of subject date . POTENTIAL RISKS: This study explores the effects of prayer and is not a therapy. There is no known possibility of physical injury. The risks are minimal and could include the possibility of mental or emotional discomfort due to increased self-awareness or mindfulness. Neither Holos University Graduate Seminary, the ML-DPI, the ACF, the AI nor the PI makes claims that this study offers therapeutic benefits. Participants seeking therapeutic support are encouraged to find a trained professional. The Primary Investigator or AI/AIDM (Data Manager) will gladly answer any questions that a participant may have regarding this study. Any further questions, please contact the PI, Michael Ulm, at (941) 932-3673 or by email at DrMichaelUlm@Yahoo.com or AI/AIDM Ellen Laperriere (850) 688-3476 or by email at Admin@ALMIus.com. For concerns or questions about rights of a research participant please contact the Holos University Graduate Seminary Dean, Ann Nunley, Ph. D., at (785) 863-2176, 4221 Nunley Lane, McLouth, KS 66054. Please sign the consent with full knowledge of the nature and purpose of the procedures, the benefits expected, and the discomforts and/or risks that may be encountered. and I have received a copy of the consent form to keep. 1 Filmore, Charles and Myrtle, Unity Magazine, May 1902, p. 295. 2 Filmore, Charles and Myrtle, Christian Science Thought, April, 1891. 3 Vahle, Neal, The Unity Movement, Its Evolution and Spiritual Teachings, Philadelphia: Templetion Foundation Press. 2002. P. 228. 4 Vahle, Neal, The Unity Movement, Its Evolution and Spiritual Teachings, Philadelphia: Templetion Foundation Press. 2002. P. 228. 5 Ladouceur, Paul (edited and compiled by), 1996., Sacred Words a selection of spiritual writings of all ages, Findhorn Press, Forres IV36 OTZ, Scotland, p. 246. 6 Dictionary.com.http://dictionary.reference.com/browse/CAM?s=t., Accessed 05-03-2014, 11:06am. 7 Ladouceur, Paul (edited and compiled by), 1996., Sacred Words a selection of spiritual writings of all ages, Findhorn Press, Forres IV36 OTZ, Scotland, p. 246. 8 Little Eagle Standing Strong, James, 1995. 21st Century Spirituality Daily Prayers, p. 3. 9 Dictionary.com. http://dictionary.reference.com, Accessed 05-13-2014, 6:11 pm. 10 Ladouceur, Paul (edited and compiled by), 1996., Sacred Words a selection of spiritual writings of all ages, Findhorn Press, Forres IV36 OTZ, Scotland, pp. 232. 11 Dictionary.com. http://dictionary.reference.com, Accessed 05-13-2014, 6:06 pm. 12 Dictionary.com. http://dictionary.reference.com, Accessed 05-13-2014, 5:54 pm. 14 Dictionary.com. http://dictionary.reference.com, Accessed 05-13-2014, 6:09 pm. 16 Dictionary.com. http://dictionary.reference.com, Accessed 05-13-2014, 6:03 pm. 17 Little Eagle Standing Strong, James, 1995. 21st Century Spirituality Daily Prayers, p. 3. PMCID: Exploring Measures of Whole Person Wellness: Integrative Well-Being and Psychological Flourishing, p. 1. 19 Piedmont, Ralph L., Mary Beth Werdel and Mario Fernando, 2009. THE UTILITY OF THE ASSESSMENT OF SPIRITUALITY AND RELIGIOUS SENTIMENTS (ASPIRES) SCALE WITH CHRISTIANS AND BUDDHISTS IN SRI LANKA, Research in the Social Scientific Study of Religion, Volume 20 © Koninklijke Brill NV, Leiden, pp. 133. 20 Piedmont, Ralph L., Mary Beth Werdel and Mario Fernando, 2009. THE UTILITY OF THE ASSESSMENT OF SPIRITUALITY AND RELIGIOUS SENTIMENTS (ASPIRES) SCALE WITH CHRISTIANS AND BUDDHISTS IN SRI LANKA, Research in the Social Scientific Study of Religion, Volume 20 © Koninklijke Brill NV, Leiden, pp. 132. 21 Spielberger, Charles D., 1983. State Trait Manual, Mind Garden, Inc. p.
22 Dossey, Larry MD. HEALING RESEARCH: WHAT WE KNOW AND DON’T KNOW, Subtle Energies & Energy Medicine, Volume 19, Num. 1 •Page 21.